Residents of the High St. and others will be pleased to see that the building on the corner of Over Road is being repaired after many years lying derelict. 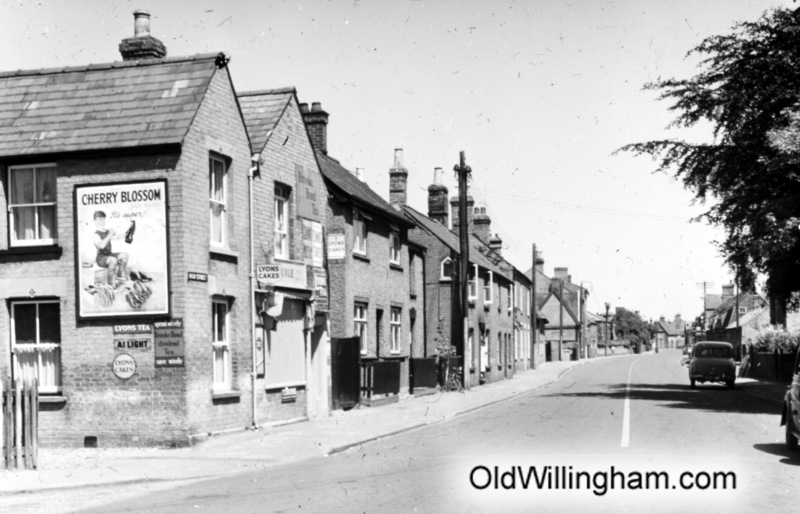 In this month’s picture we see the building as it was in the 1950’s, a thriving corner shop. The building was originally just one bay but the second bay (nearest the junction) was added in the early 1900’s. During and after World War 2 the shop was run by Saul Cole and his wife Lizzie. Later his nephew Bill Raven took over and then was joined by his son, Barry. They sold groceries, fruit and haberdashery – signs on the shop advertise Brooke Bond tea, Lyons cakes and Cherry Blossom boot polish. The shop eventually closed in the early 1990s.